Join us on Sunday, October 22 to explore St. John Paul II’s The Gospel of Life (Evangelium Vitae) with Dr. Mitch Kalpakgian, on faculty at Northeast Catholic College. 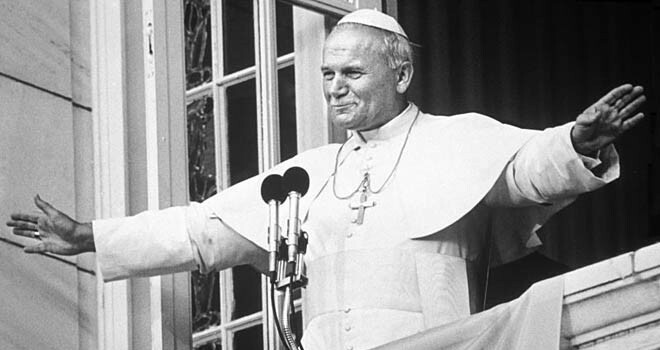 In this eloquent, cogent, and inspiring defense of the sanctity of life, Saint John Paul II exposes all the false ideas and dominant ideologies of modernity–materialism, relativism, individualism, hedonism–that have subverted the wisdom of the ages and the Church’s perennial moral teachings on the gift of life, the inestimable dignity of the human person, God’s providential plan for marriage and the family, and the truth about love. This seminar will concentrate on major ideas and select passages from the work that address the pervasive culture of death that has desecrated the sacredness of life, attacked the traditional Christian meaning of right and wrong, and exalted man above God as the arbiter of life and death. Please readat least the introduction and first two chapters of The Gospel of Life (Evangelium Vitae) prior to attending. There is no cost to attend, but donations are welcome to defray the cost of dinner. Please RSVP by Tuesday, October 17 to[email protected]eastcatholic.eduor 603-456-2656.